--Editor's Note: Polycom CEO Andy Miller will give a keynote address at the TIA Inside the Network conference in Dallas, Texas, on June 6 at 11:30 a.m. CT. Mr. Miller will discuss how video collaboration is becoming mission critical in organizations and how new delivery platforms such as the cloud will drive video collaboration ubiquity. Polycom, Inc., the global leader in open standards-based unified communications (UC), today announced that BT Conferencing will use the Polycom(R) RealPresence(R) Platform (Polycom(R) RMX(R)) to power its Video-as-a-Service (VaaS) offering for Polycom deployments. By running BT Conferencing's video cloud on the Polycom RealPresence Platform, the two companies are building in interoperability and making it possible for employees, partners, and customers to collaborate face-to-face across multiple platforms and devices. Powered by RealPresence Platform, BT Conferencing's video cloud offers the industry's most scalable and flexible managed video collaboration service. 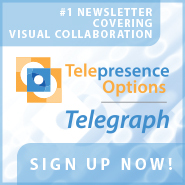 The RealPresence Platform is the most comprehensive software infrastructure for universal video collaboration, providing carrier-grade reliability, security and industry-leading scalability, and interoperating with the broadest range of communications applications. "Leveraging Polycom's infrastructure in combination with BT Conferencing's Onward management software, BT Conferencing is delivering a Video-as-a-Service offering that will give BT customers video collaboration at their fingertips, without having to worry about provisioning and maintaining the video infrastructure," said Gary Testa, global vice president, Cloud and Service Providers at Polycom. "By extending its video cloud service with the Polycom RealPresence Platform, BT Conferencing is making it easier for customers looking for a Polycom experience to create a true culture of collaboration throughout their organization with a flexible and scalable solution. Polycom's vision is to drive video collaboration ubiquity, and a key component to our approach and strategy is working closely with leading service providers so they can deliver VaaS offerings to their customers from the cloud." "Video collaboration delivered from the cloud is a revolutionary way for organizations to keep their people connected and productive, improve teamwork organization-wide, cut costs, and accelerate better decision-making -- without having to build out or support their own infrastructure," said David Stark, VP Commercial, Portfolio & Marketing at BT Conferencing. "For the video cloud to work it has to connect to virtually any device. We're making that possible with the Polycom RealPresence Platform, which provides BT Conferencing with secure, reliable, and highly scalable infrastructure for a truly compelling Video-as-a-Service offering to our customers who may have a Polycom estate they want to leverage." -- Flexibility for multi-platform IT landscapes. For the first time, BT Conferencing customers can choose Polycom RMXbridges to manage calls or events. BT Conferencing can offer video collaboration that is fully interoperable across leading video conferencing systems. These capabilities are crucial for organizations that have acquired locations outfitted with different brands of video conferencing equipment, or that maintain a mix of new and legacy systems. -- Greater scalability, reliability, and interoperability. Adding Polycom(R) RealPresence(R) video solutions lays the groundwork for more flexible collaboration environments. 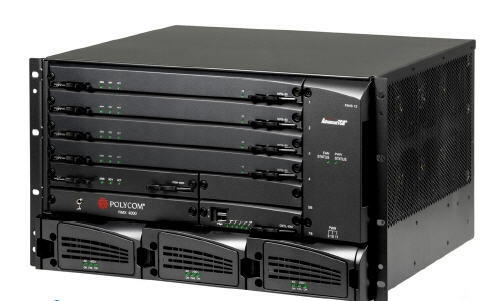 This allows BT Conferencing to connect multi-vendor UC environments and applications seamlessly and enable a reliable, high-quality user experience, even when connecting thousands of users at once. -- The ability to reach more users on more devices. Adopting the Polycom RealPresence Platform also allows BT Conferencing to extend cloud-based collaboration to more users and more video environments, including immersive telepresence theaters, video room and desktop systems and software-based video for laptops, tablets and smartphones (such as Polycom RealPresence Mobile), helping to connect users across any work environment. -- Lower costs. As a secure managed service, BT Conferencing's VaaS offerings relieve customers of the time, expertise, and expense required to operate their own global video conferencing infrastructure. -- Exceptional end-user experience. BT Conferencing's VaaS offerings are integrated with its online communities that customers can use to schedule fully automated calls on a day-to-day basis. For large-scale or complex events and meetings, they can also engage a dedicated BT Conferencing producer to record and stream calls, digitally monitor call activity, drive slides and other content, and moderate Q&A sessions. -- World-class support. BT OneCare maintenance offers anytime, anywhere support for on-premise video conferencing systems. -- Room to room BT managed. BT Conferencing's extensive video services portfolio together with BT's Global WAN and LAN services provide a room to room BT managed solution for every component that encompasses a carrier class video solution. BT Conferencing's VaaS offerings are available to customers worldwide today. For more information, please visit www.btconferencing.co.uk/. The unique open-standards approach of the Polycom RealPresence Platform ensures interoperability with hundreds of UC, business, and social networking applications, bridging silos, and truly unifying communications across the enterprise. For more information, please visit www.polycom.com/products/uc_infrastructure/realpresence_platform/. Polycom and BT Conferencing are co-founders and active participants in the Open Video Communications Consortium(TM) (OVCC(TM)), a non-for-profit organization that drives video collaboration across any vendor, any network, and any device. Continuing their work together and through the OVCC will ensure customers can easily connect with other users, even when they are using a different service provider. Polycom is the global leader in open standards-based unified communications (UC) solutions for telepresence, video, and voice powered by the Polycom(R) RealPresence(R) Platform. The RealPresence Platform interoperates with the broadest range of business, mobile, and social applications and devices. More than 400,000 organizations trust Polycom solutions to collaborate and meet face to face from any location for more productive and effective engagement with colleagues, partners, customers, specialists, and prospects. Polycom, together with its broad partner ecosystem, provides customers with the best total cost of ownership, interoperability, scalability, and security for video collaboration, whether on-premises, hosted, or cloud delivered. Visit www.polycom.com or connect with Polycom on Twitter, Facebook, and LinkedIn. 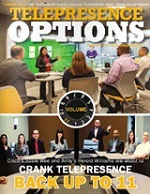 (C) 2012 Polycom, Inc. All rights reserved. POLYCOM(R), the Polycom "Triangles" logo, and the names and marks associated with Polycom's products are trademarks and/or service marks of Polycom, Inc. and are registered and/or common law marks in the United States and various other countries. All other trademarks are property of their respective owners. \"Leveraging Polycom's infrastructure in combination with BT Conferencing's Onward management software, BT Conferencing is delivering a Video-as-a-Service offering that will give BT customers video collaboration at their fingertips, without having to worry about provisioning and maintaining the video infrastructure,\" said Gary Testa, global vice president, Cloud and Service Providers at Polycom. \"By extending its video cloud service with the Polycom RealPresence Platform, BT Conferencing is making it easier for customers looking for a Polycom experience to create a true culture of collaboration throughout their organization with a flexible and scalable solution. Polycom's vision is to drive video collaboration ubiquity, and a key component to our approach and strategy is working closely with leading service providers so they can deliver VaaS offerings to their customers from the cloud.\"
\"Video collaboration delivered from the cloud is a revolutionary way for organizations to keep their people connected and productive, improve teamwork organization-wide, cut costs, and accelerate better decision-making -- without having to build out or support their own infrastructure,\" said David Stark, VP Commercial, Portfolio & Marketing at BT Conferencing. \"For the video cloud to work it has to connect to virtually any device. We're making that possible with the Polycom RealPresence Platform, which provides BT Conferencing with secure, reliable, and highly scalable infrastructure for a truly compelling Video-as-a-Service offering to our customers who may have a Polycom estate they want to leverage.\"
(C) 2012 Polycom, Inc. All rights reserved. POLYCOM(R), the Polycom \"Triangles\" logo, and the names and marks associated with Polycom's products are trademarks and/or service marks of Polycom, Inc. and are registered and/or common law marks in the United States and various other countries. All other trademarks are property of their respective owners.